Eating healthy is more than often considered as tasteless or pricey or boring! People do not realise that healthy eating is not just about plain lettuce and tomatoes, it can be delicious too! 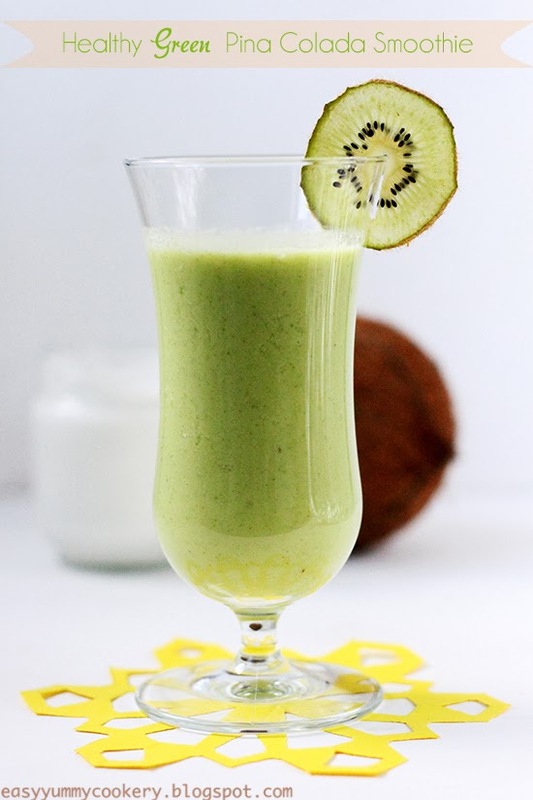 Today's recipe is a simple, healthy, green yet mouthwatering smoothie with Spinach! Yes, you read it, Spinach!! Spinach with green leaves!! It is as Mouthwatering as its Simplicity!! I assure you, this smoothie tastes exactly like Pina Colada!! And it is very, very easy to make! Done in 5 minutes, maybe less! You have no reason why you shouldn't try this on your next breakfast! Toss all ingredients in a blender and blend until smooth. You're done! 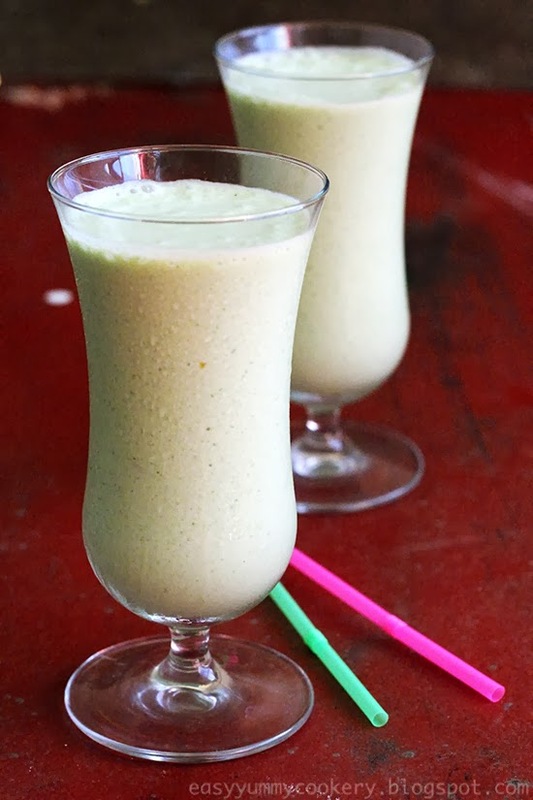 Easy Healthy Smoothie! You can store any leftover in a container in the freezer. But be sure to leave a few inches above the surface of the smoothie, because it will expand. If you don't have frozen pineapples, just add ice cubes!